Following with the rapid growth of the China economy, demand for the repair and maintenance service on diesel engineering from China customers increases sharply, the Company set up its third subsidiary, Dongguan International Diesel Fuel Injection Services Centre in DongGuan ("DG") in 1997 in order to better grasp this opportunity. Other than the high investment in the new repairing test bench, Hong Kong senior engineers are transferred to DG to provide trainings to the local staff in China. Also, Dongguan International Diesel Fuel Injection Services Centre is again, appointed by LUCAS UK as the franchised repair and maintenance centre in Southern China. After the establishment of the China service center, The Company has a closer and more direct communication with China customers which help both its customers and the Group itself to grow in a faster pace. Due to the rapid development of environmental protection standards in the China market, the Company set up another company in DG in Nov 2005, namely International Fuel Injection Service Company Ltd ("IFIS"), which replaced the old company. IFIS obtained the authority to repair all the products of Delphi Co Ltd. Moreover, in Aug 2006, IFIS was appointed by Japanese mobile parts manufacturer “Denso (China) Investment Co., Ltd.” as the authorized service centre in China. IFIS is the first service center with floor area 1,200 Square meter, and was the pioneer to purchase the “Hartridge AVM2 �C PC” testing platform in China. This specialized test bench can repair worldwide famous brand name products like Electronic Diesel Controlled System of Denso, Delphi, Bosch and Siemens. 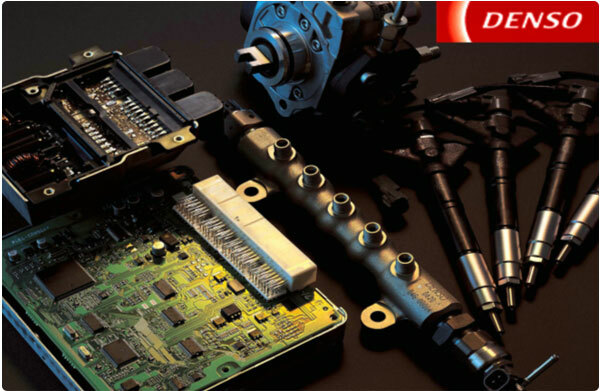 Under the repairing parts and technical supports from Delphi and Denso, together with the continuous efforts made by its staffs, the Company is able to provide a one-stop service from testing to repairing of all the vehicles up to EURO standards. On top of high investment on the testing equipment, the Company provides yearly overseas training for its technicians in order to upgrade its hardware and software.